This style holder allows for an inexpensive method of slitting, whether in the air or following a grooved sleeve. The Dienes PQAS knife holder is available with a snap in razor blade adaptor. Simply remove the score cut knife and insert the razor blade adaptor. It is quick and easy. 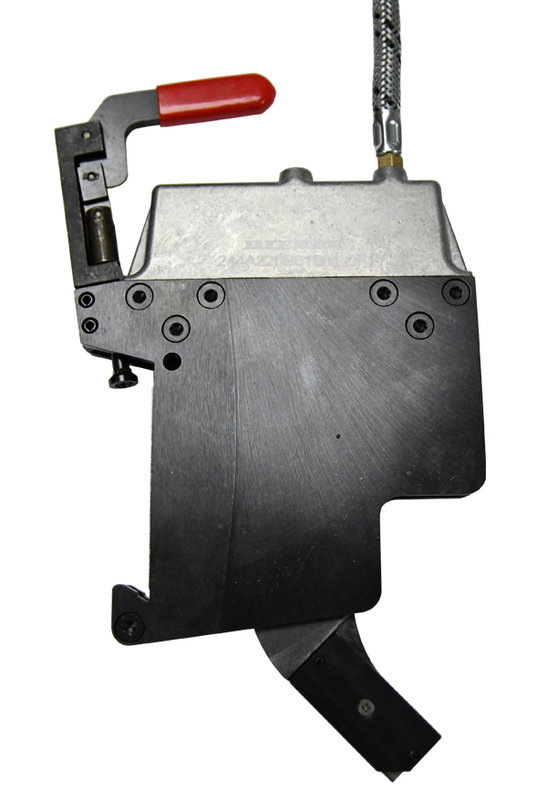 The PQAS knife holder can be transformed from a score cut holder to a razor blade slitter. Adapter is reversible to accommodate web directons.